And that’s it. No more books. Congratulations to Sarah, the winner of the final book giveaway which ended yesterday! Other book giveaways by Jo Fletcher Books are still ongoing. Check their twitter @JoFletcherBooks to stay up to date on their competitions. I still haven’t heard from Adam B Shaeffer, who was one of my two winners for a double feature of Redemption in Indigo and The Best of All Possible Worlds. Come on, Adam. Tweet me, or Jo Fletcher Books, or someone. Let us send you free books. Congratulations to Kim, the winner of last week’s giveaway, who is looking forward to Swords of Good Men by Icelandic author Snorri Kristjansson. Kim did not provide a website, twitter, Facebook, tumblr or anything, so Kim please get in touch via comment or twitter or something so I can get your details to have the books sent to you. On a related note, Adam B Shaeffer, you have won some books and you have not replied to my twitter DM! Please get in touch! I need your mailing address. Selecting a winner got a little complicated last week. I had two commenters on Goodreads, where this blog has a feed. I completely forgot that people can comment there as well. I did factor them into the random.org draw, but for this final giveaway please comment on merumsal.wordpress.com if you wish to enter. 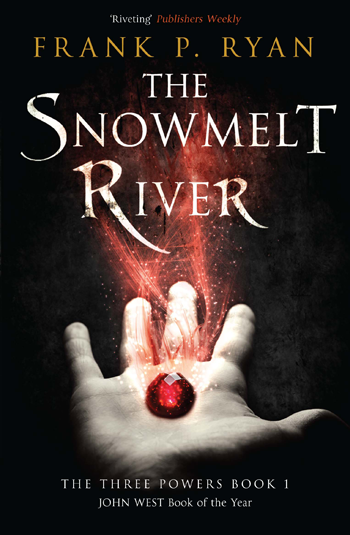 The Snowmelt River, by Frank P. Ryan (paperback). On the summit of the fabled mountain Slievenamon in Ireland there is a doorway to an ancient land of terrible power. The gate of Feimhin has lain closed for centuries, the secret of its opening long lost. But now four orphans drawn together by Fate must pass through the portal to face their destinies. What they find beyond is the enchanted but war-ravaged world of Tír, a strange land peopled by beings of magic. Here death waits at every corner and they must learn to fight if they are to survive. And they’d better learn quickly, because their enemy, the Tyrant of the Wastelands, is growing in power. To enter the competition, comment on this post and tell me … hmm … let’s make it interesting. I’ve been too busy to update, but there are a lot of things out there. Comment and tell me the title of any short story, interview or guest post of mine that you’ve seen (or will see!) over the past few weeks and up to next week Wednesday. So far there are at least five; there will be more by next week. And no, SF Crossing the Gulf doesn’t count. If you wish, add your twitter name, tumblr or blog url. I’ll randomly choose a winner from the comments next Wednesday night (around 8pm GMT-4), and announce the name in a post that same night. The books will be sent directly from Jo Fletcher Books in London, so if you win I will need your address to pass on to them. Congratulations to the winners of the last giveaway, Andrea H and Adam B. Shaeffer! Andrea got in touch with me, but I haven’t heard from Adam yet, so if you’re reading this Adam, please check your twitter DMs. 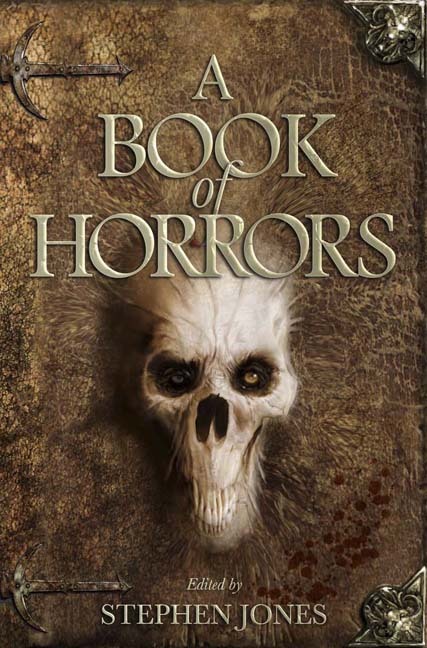 A Book of Horrors, by Stephen Jones (editor) and Les Edwards (illustrator) (paperback, signed by both editor and illustrator). Many of us grew up on The Pan Book of Horror Stories and its later incarnations. For the first time in a decade or more, there’s a successor: A Book of Horrors features brand-new, never-before-published stories by the international Grand Master of horror Stephen King, John Ajvide Linqvist, author of the cult hit Let the Right One In, award-winning playwright Robert Shearman, Sunday Times bestseller Michael Marshall Smith and many others. One word of warning: be sure to read this collection with the lights on! To enter the competition, comment on this post. This time, I want you to tell me which Jo Fletcher Books or Quercus authors you have read (or are planning to read) who are neither American nor British. No, I don’t count. Tell me the author’s nationality as well, please! If you wish, add your twitter name, tumblr or blog url. Next Wednesday night (around 8pm GMT-4), I’ll randomly choose a winner from the comments. I’ll announce the name in my new Thursday Giveaway post. The books will be sent directly from Jo Fletcher Books in London, so if you win I will need your address to pass on to them. Congratulations to Aliette de Bodard, third commenter and winner of last week’s giveaway! She chose Valerio Varesi’s The Dark Valley, a Quercus title which was shortlisted for the CWA International Dagger in 2012. 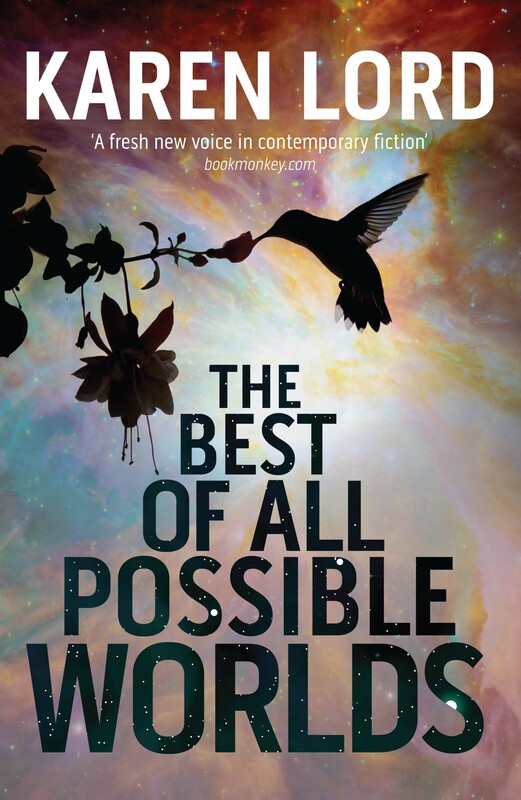 Today is the release date for the UK edition of The Best of All Possible Worlds! To celebrate, there will be two winners chosen from this post. 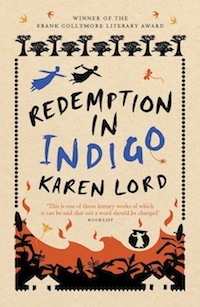 Each winner will get copies of both Redemption in Indigo (paperback) and The Best of All Possible Worlds (hardback). Comment on this post and tell me which Jo Fletcher Books science fiction titles (forthcoming or already published) are on your to-read list. If you wish, add your twitter name, tumblr or blog url. Next Wednesday night (around 8pm GMT-4), I’ll randomly choose two winners from the comments. I’ll announce the names in my new Thursday Book Giveaway post. The books will be sent directly from Jo Fletcher Books in London, so if you win I will need your address to pass on to them. Congratulations to the winner of last week’s giveaway – Mihai, the last commenter on the post! 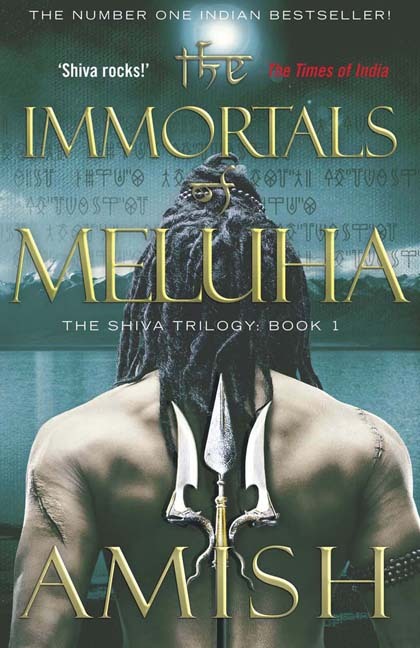 1900 BC: the once-proud Suryavanshi rulers of the Meluha Empire are in dire peril. The empire’s primary river, the Saraswathi, is slowly drying up. There are devastating terrorist attacks from the east, the land of the Chandravanshis – and to make matters worse, the Chandravanshis appear to have allied with the Nagas, an ostracised race of deformed humans with astonishing martial skills. To enter the competition, comment on this post and tell us the name of any Jo Fletcher Books title or Quercus non-SF title that has won an award or been nominated/shortlisted (to make it a bit more of a challenge, you may not mention Redemption in Indigo or The City’s Son!). If you wish, add your twitter name, tumblr or blog url. Next Wednesday night (around 8pm GMT-4), I’ll randomly choose a winner from the comments. I’ll announce the name in the next Thursday Giveaway post. UPDATE. 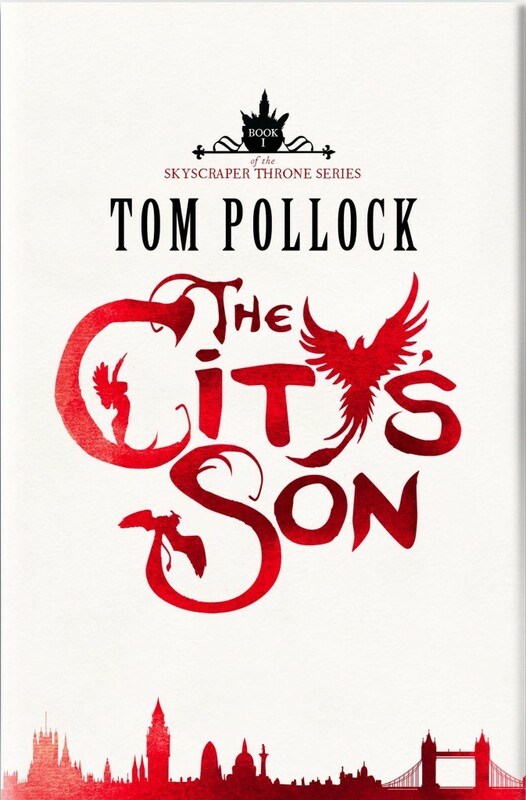 The Kitschies were announced today (18 Jan 2013), and both Redemption in Indigo and The City’s Son have been nominated in the best debut novel category! Congrats to all the nominees, and thanks to the members of the jury! But the hidden London is on the brink of destruction. Reach, the King of the Cranes, is a malign god of demolition, and he wants Filius dead. In the absence of the Lady of the Streets, Filius’ goddess mother, Beth rouses Filius to raise an alleyway army, to reclaim London’s skyscraper throne for the mother he’s never known. Beth has almost forgotten her old life – until her best friend and her father come searching for her, and she must choose between the streets and the life she left behind. You have a week to comment on this post. Tell me which Jo Fletcher Books or non-SF Quercus titles you’re looking forward to reading in 2013. If you wish, add your twitter name, tumblr or blog url. Next Wednesday night (around 8pm GMT-4), I’ll choose a winner from the comments. I’ll announce the name next Thursday when I post about the new giveaway.